Lets all breath a little life back into this dying forum! I'm still waiting for the snow to stop. I did manage to make a rib-eye hit the grill between storms. I'd forgotten what an amazing effect a little smoke and flames have on a piece of meat. Looks like we may get another dusting today in S.E. Wi...Last 2 years we had late storms up until now, but the prior 20 +/- were pretty dry by now...We are back to the old school cycle I guess! Been firing up the Lang since the 1st of the month [ commercially ] but had to shut down due to the forecast for last W and T....Did get a couple inches, but it melted off already! Looking to fire up the Weber for a nice Easter tenderloin and a ham! 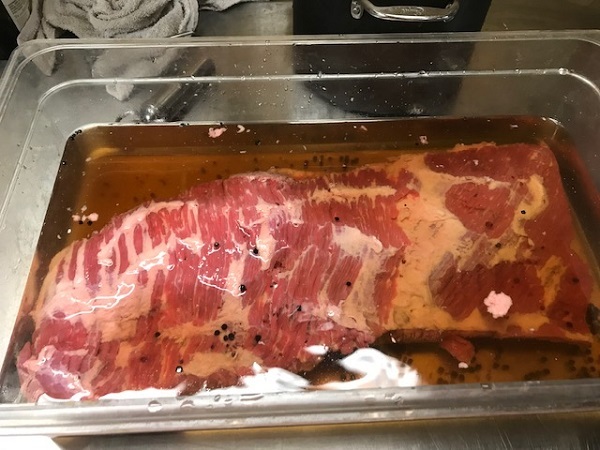 I figure it will be another couple of weeks and then I can get started on my Buckboard bacon. 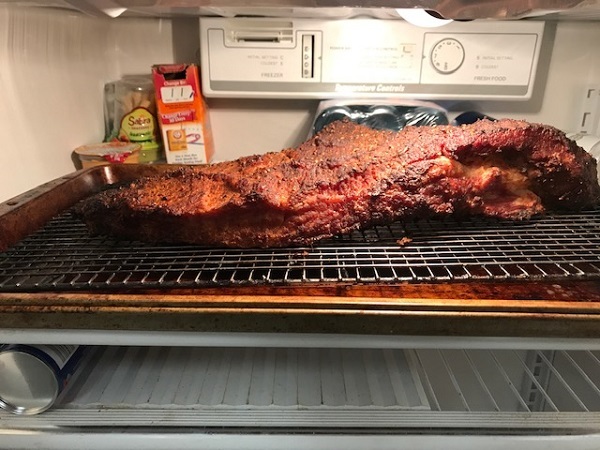 It has been a long time since I used my smoker. Every weekend seems to fill up with the sport the kid is playing at the time. My goal is to make the time this summer. Best wishes, and light blue smoke to all. made some ribs and chicken for the Masters, but didn't take one picture. Been doing a bunch of corning and smoking over the winter, super rewarding. Steam off until 200 degress on the stove, grab the mustard and Light Rye, its game time!